Wind turbines at Chang Hua Mun Royal Project in Phetchaburi province. 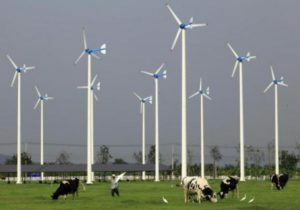 Thailand’s renewable energy development remains intact despite the recent licence revocation of a wind farm development. The recent revocation of a private firm’s licence to develop wind farms in Chaiyaphum province is likely to cause minimal damage to Thailand’s 20-year renewable energy development plan, according to a policymaker. The Supreme Administrative Court yesterday ruled that renting Sor Por Kor land to build a wind farm in Chaiyaphum was deemed a misuse of the area, which has been designated for farming purposes. Following the ruling, the energy regulator is set to hold urgent talks with the Agricultural Land Reform Office, which leased the Sor Por Kor land for building wind energy projects, as it fears that the ruling will set a precedent for future projects. The land at the centre of the dispute is located in a Grade 1B area and was originally intended for distribution to farmers under the agricultural land reform scheme, known as Sor Por Kor. The court ruling has automatically stopped all wind farm development plans in the area and raised concerns among private firms about developing renewable energy projects in the future. There are 22 wind farms covering almost 700 rai which are scattered throughout Sor Por Kor land in the two northeastern provinces of Nakhon Ratchasima and Chaiyaphum. That has sparked doubt among investors because several plots of the land might be located on Sor Por Kor land in the northeast. Praphon Wongtharua, director-general of the Department of Alternative Energy Development and Efficiency (DEDE), said some wind farms that have power purchasing agreements (PPA) with the state and operated on Sor Por Kor land would be affected. He said state agencies involved in the case should work out together what to do if a similar case arises again in the future. “The impact may not be on the Alternative Energy Development Plan, but it will cause damage to those investors who have already invested in Sor Por Kor land and also have a PPA,” said Mr Praphon. The government’s Renewable Energy Development Plan (2015-2036) calls for a renewable energy capacity target of 19,684 megawatts. Of the total, wind farms shared 3,000MW as of the end-2016, but only 305MW is now operational. 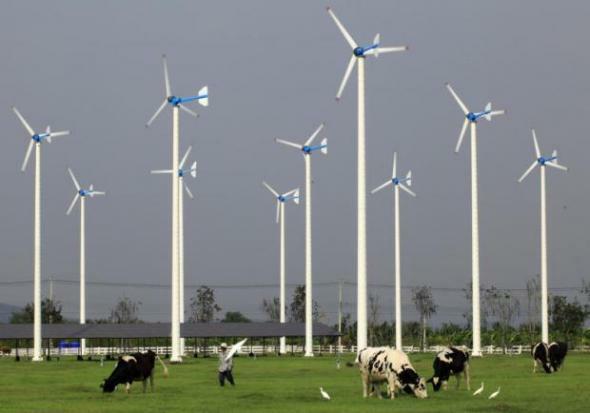 Mr Praphon said Thailand has quite limited potential to develop wind farms, with total capacity at around 13,000MW, since there are few locations that can provide the required wind speed needed to generate power. Most of the suitable land plots are on the seashore in the southern region of Thailand. As a result, he said the energy policy maker may not open new bidding for licences to develop wind farms as they are now focusing on biomass, solar farm and waste-to-energy projects which can generate more sustainable power. Somwang Prapasphen, a senior engineer at the Bureau of Renewable Energy Development of DEDE, said because of the limited potential, Thailand needs more high technology as well as larger wind turbines, which means developers would depend a lot on expensive imported turbines and technology. In contrast, other renewable power sources such as biomass, biogas and waste-to-energy have stronger potential as Thailand has plenty of agricultural waste and biogas to generate sustainable power to be put on the grid. The Energy Regulatory Commission said the licence that was automatically nullified by the court ruling yesterday had been granted to the private firm in 2010. But the company had yet to invest in the project or otherwise begin commercial operations, so no financial damages were caused by the annulment.